Located just off of Highway 8, Northwood trails are a complete recreational system for both classic and skate techniques. With over 15 kilometers, Northwood trails begin at Northwood Golf course, but they quickly move off the course into a pristine forest setting. 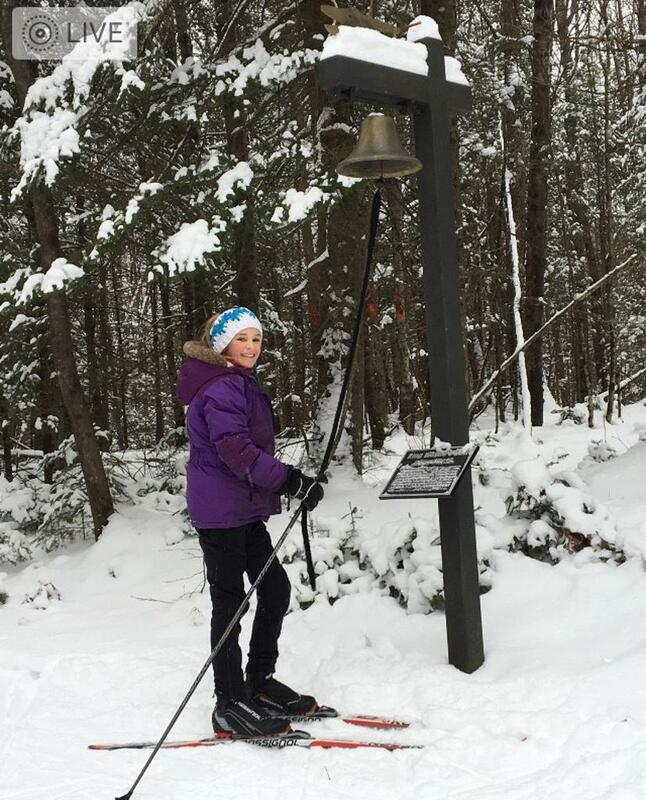 While skiing Nothwood trails, enjoy the local landmarks long the way Ring Wayne's Bell at the top of Shutes - n - Ladders. Then ski Cook's Run to Judy's Bench and enjoy the view of the Heal Creek lowlands. Located off of South Shore Drive, the CAVOC trail system offers a specialty experience for skiers looking for high-energy course. A unique system in many ways -- there's a fully homolgulated 8' wide 5K loop that is certified for NCAA events and the rolling terrain that Birkie and Kortie skiers love. 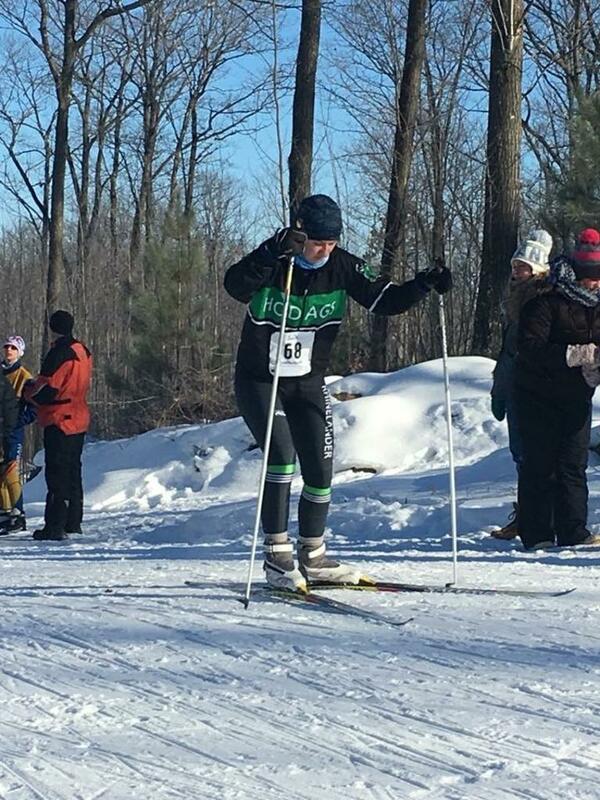 The CAVOC Trails also play host to the Hodag Challenge in January along with several NCAA events. Come ski CAVOC and say that you climbed Two-Minute Hill and survived Stoney Drop! Located just across the road from Rhinelander High School on Coolidge Avenue, the Rhinelander Community comprise a small system of short, level loops (no longer than 1 kilometer) and a groomed track. These trails are perfect for new and young skiers or for people who want to get in a quick ski without leaving town. Groomed for both skate and classic, these trails put Nordic skiing at your backdoor. 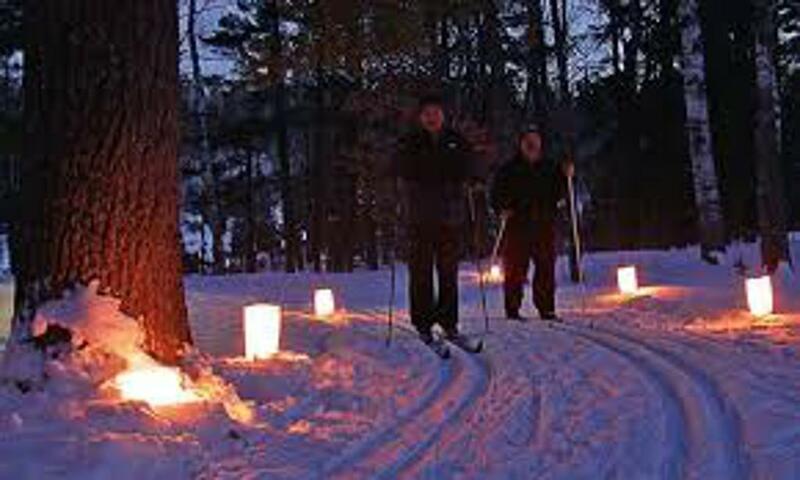 The Rhinelander Community Trails also serve as the location for the annual Candlelight Ski.